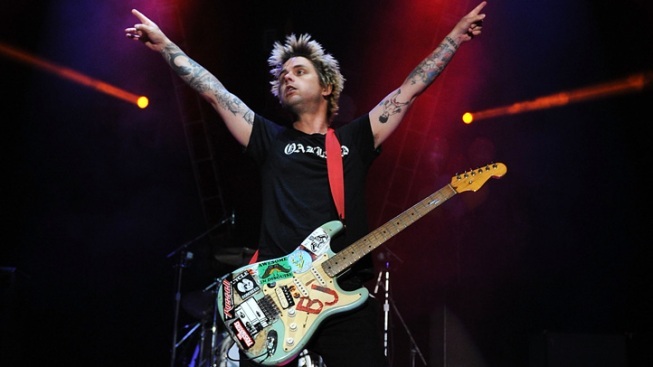 Green Day's Billie Joe Armstrong will open Broken Guitars in Oakland on April 3. Green Day's charismatic frontman is getting into the retail business. Billie Joe Armstrong will open Broken Guitars at 423 40th Street in the Temescal neighborhood of Oakland, California, on April 3. Broken Guitars will buy, sell and trade vintage guitars and amplifiers. Opening stock will include guitars from Armstrong's personal collection and average general prices from around $400-800, reports East Bay Express. Armstrong isn't the first member of Green Day to open up shop in the East Bay; bassist Mike Dirnt is a partner in Rudy's Can't Fail Cafe, a restaurant with locations in Emeryville and Oakland.